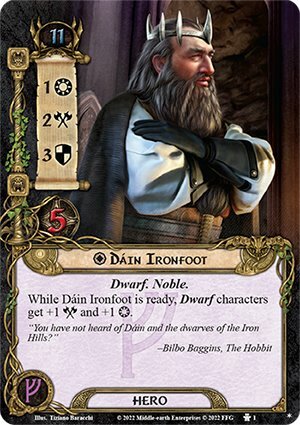 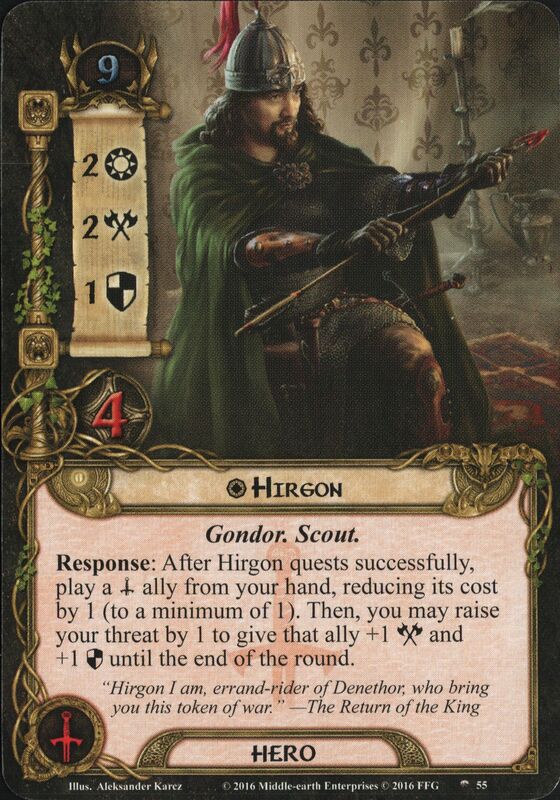 While you are engaged with an enemy with an engagement cost higher than your threat, the first Hobbit ally you play each round does not require a resource match. 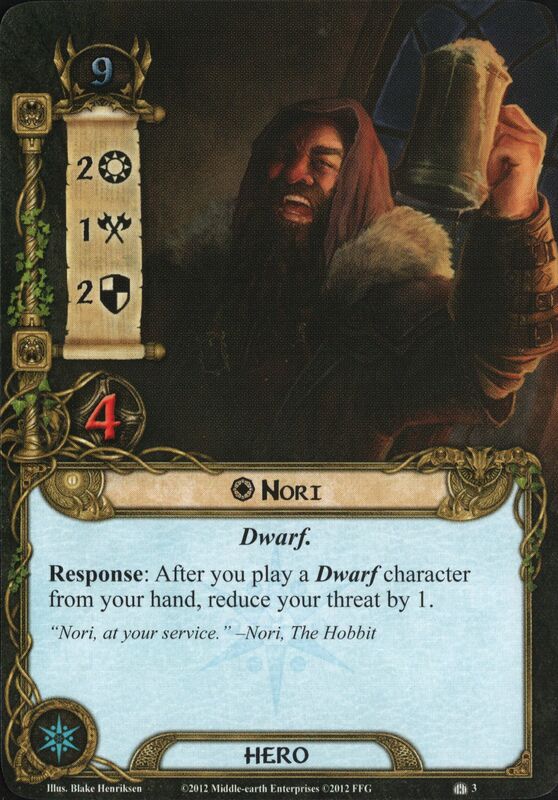 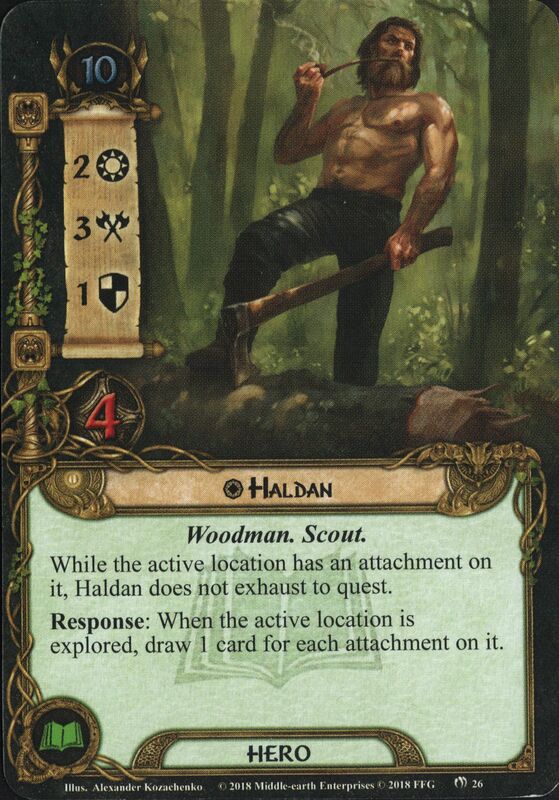 Response: After a Hobbit ally enters play, it gets +2 Attack until the end of the round. 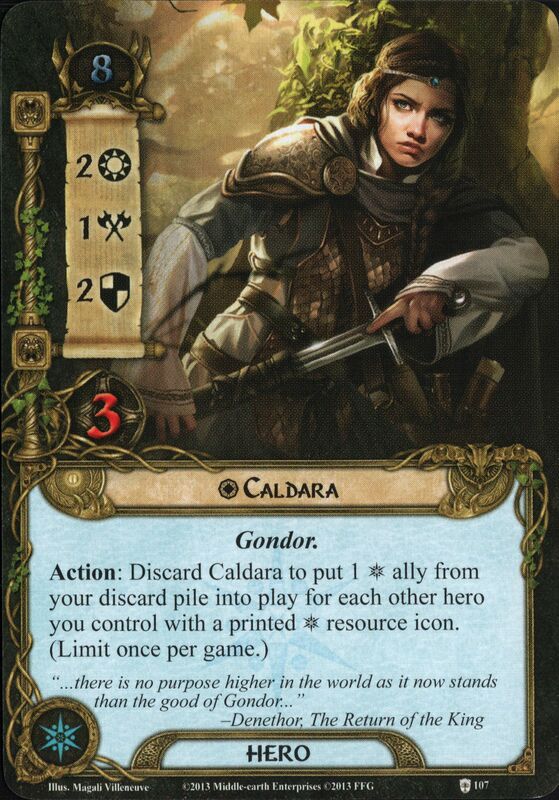 Planning Action: Exhaust The One Ring to add 1 resource to a hero's pool. 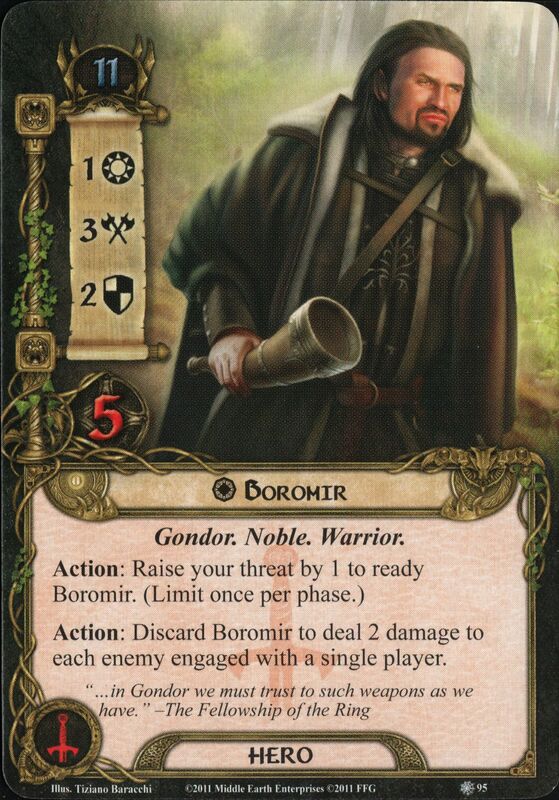 Response: After Bilbo Baggins commits to the quest, choose an enemy in the staging area. 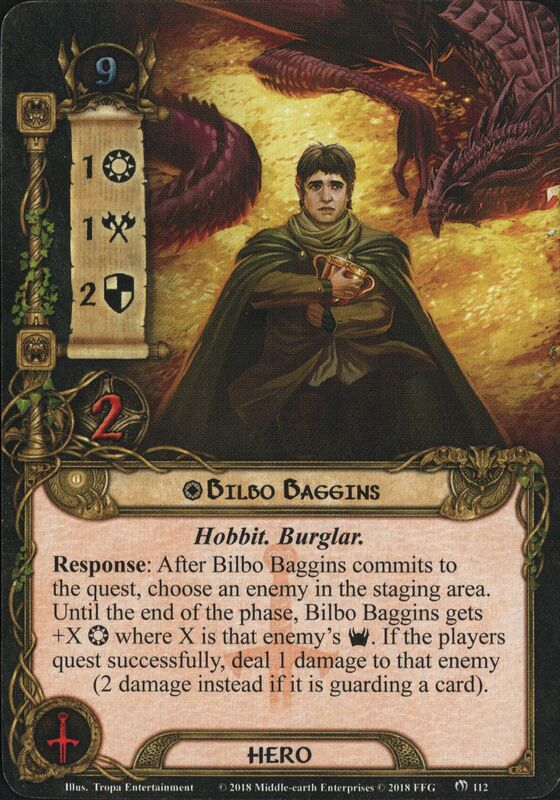 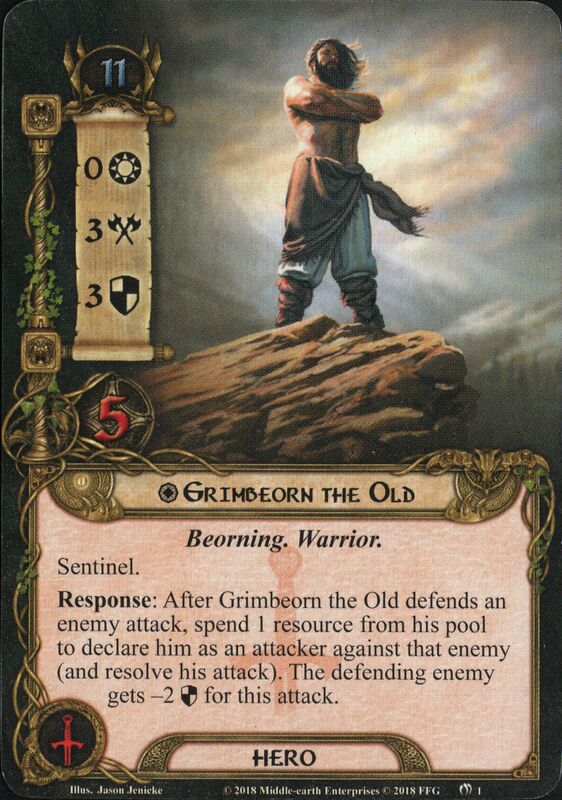 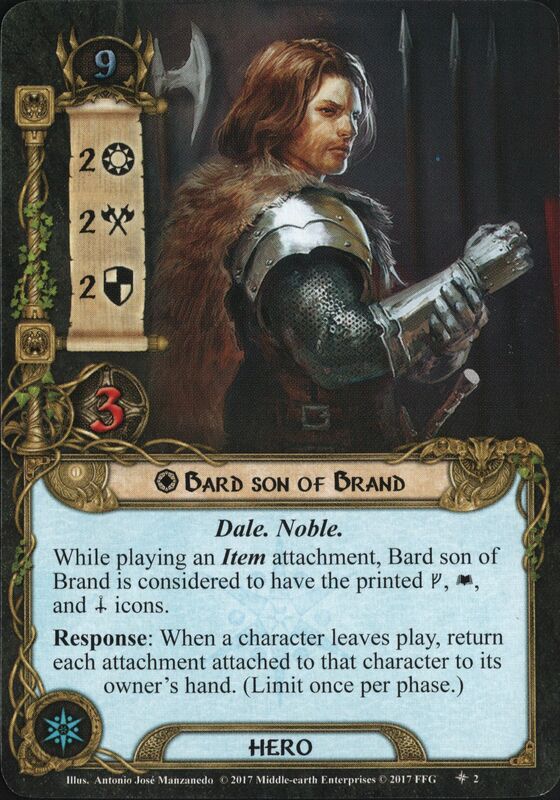 Until the end of the phase, Bilbo Baggins gets +X Willpower where X is that enemy's Threat. 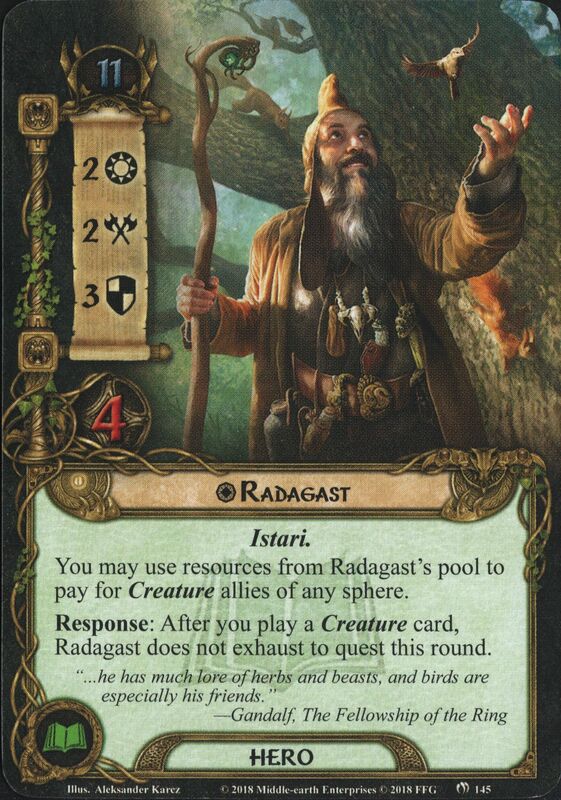 If the players quest successfully, deal 1 damage to that enemy (2 damage instead if it is guarding a card). 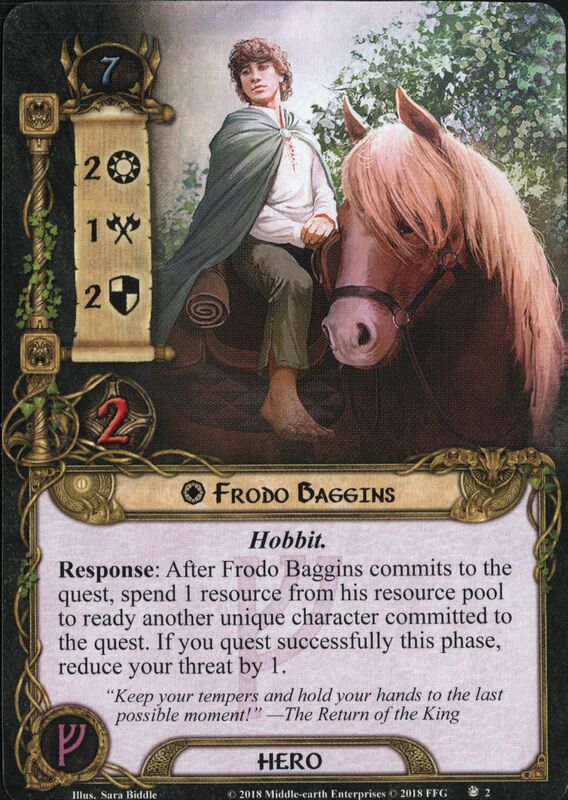 Response: After Frodo Baggins exhausts to defend an attack, exhaust The One Ring and spend 1 Fellowship resource to target the attacking enemy. 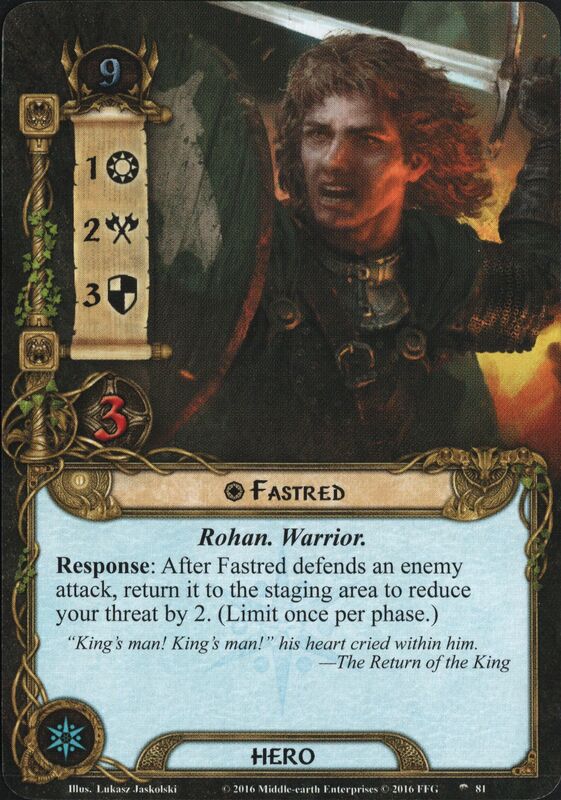 Then, this attack deals no damage and each player raises his threat by 2. 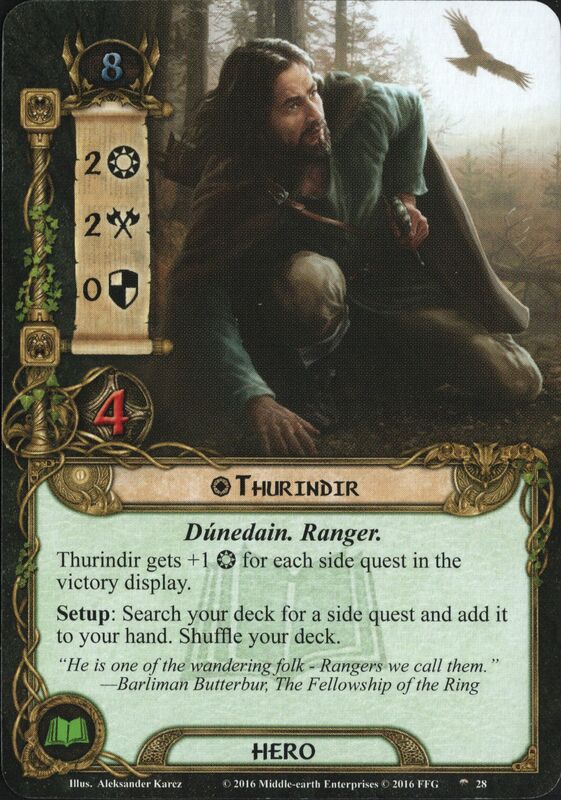 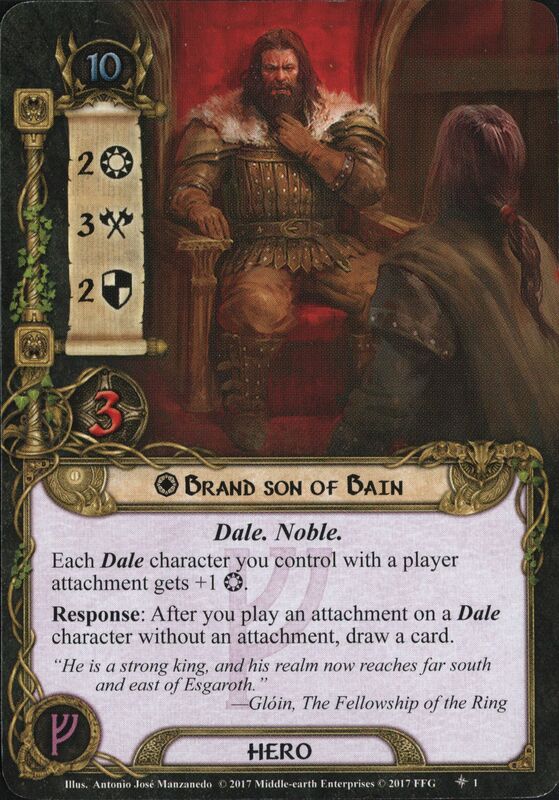 Response: After Thorin Stonehelm is declared as an attacker, discard the top card of your deck to deal 1 damage to an enemy engaged with you. 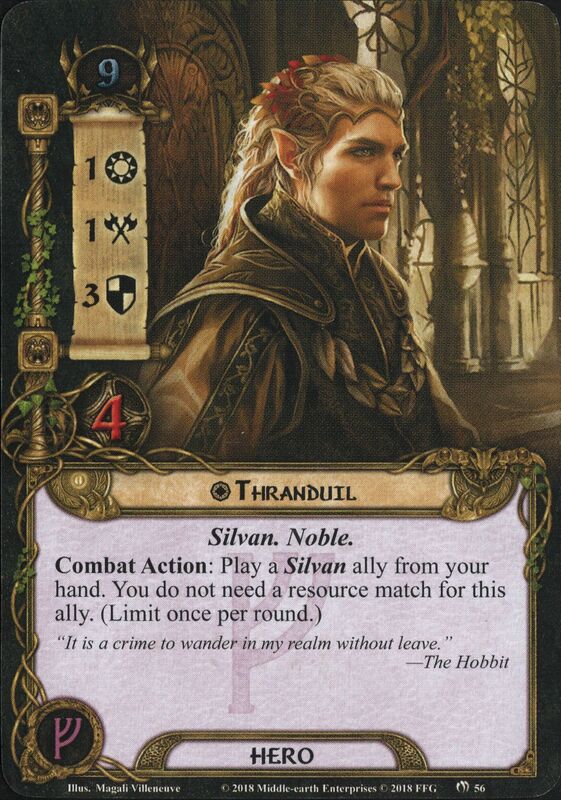 Response: After a Silvan ally enters play, that ally gets +1 Willpower, +1 Attack, and +1 Defense until the end of the round.